Looks good! I’ve never made chili using black beans, I’ll definitely have to give it a try. Thanks! 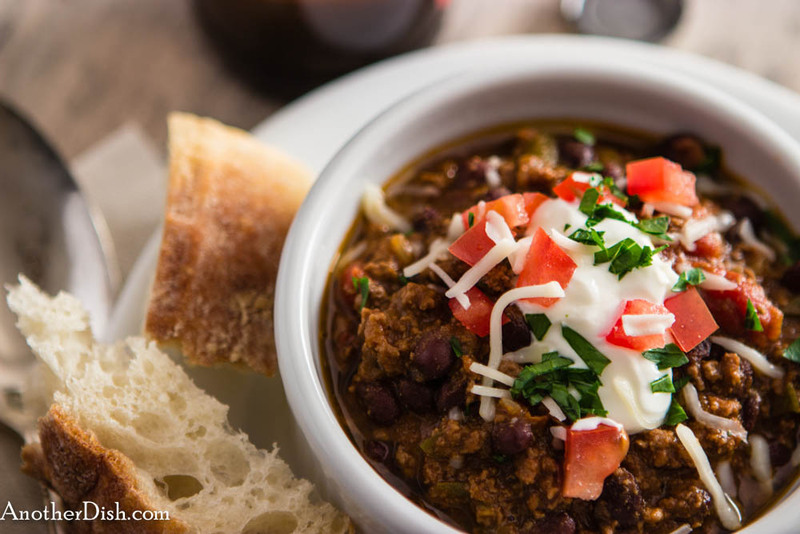 I usually use red beans, but I think black beans do really well in chili — I hope you try it! I’m now wondering why I’ve never done this! I always use beer in chili, no matter how I make it. In fact, I used to use this fabulous chile pepper beer, with an actual jalapeno in it. They either don’t make it anymore or it just doesn’t come to my backward state of Oklahoma. In any case, of course I should put beer in black beans! Thanks! Yes, black beans and beer (pale ale) go very well together for chili in my book!